Publisher’s Synopsis: The Middle Ages was a critical and formative time for Western approaches to our natural surroundings. 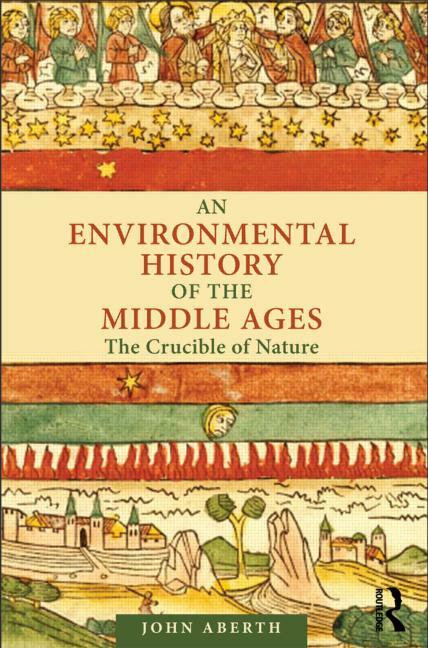 An Environmental History of the Middle Ages is a unique and unprecedented cultural survey of attitudes towards the environment during this period. Humankind’s relationship with the environment shifted gradually over time from a predominantly adversarial approach to something more overtly collaborative, until a series of ecological crises in the late Middle Ages. With the advent of shattering events such as the Great Famine and the Black Death, considered efflorescences of the climate downturn known as the Little Ice Age that is comparable to our present global warming predicament, medieval people began to think of and relate to their natural environment in new and more nuanced ways. They now were made to be acutely aware of the consequences of human impacts upon the environment, anticipating the cyclical, “new ecology” approach of the modern world. Excerpt: A “forest” in the Middle Ages meant something quite different from what we think of it today: It mainly existed for our medieval forbears as a legal entity, rather than an economic or ecological one. Therefore, a forest could actually include treeless fields of arable or pasture if these came within the purview of property rights and laws that defined it as such, according to the customs and traditions of the locality. More often, however, a medieval forest reflected the complex intersection between wild, untamed woods and the cultivated open space of the village: A place where man left his mark on nature and was an integral part of it, actively managing the forest for his own benefit and, perhaps incidentally, for the benefit of woodland creatures and even of the trees themselves. This is a practice that, of course, continues down to the present day (where the currently favoured term is “sustainable forestry”), but one could argue that it had its most formative experience during the Middle Ages.